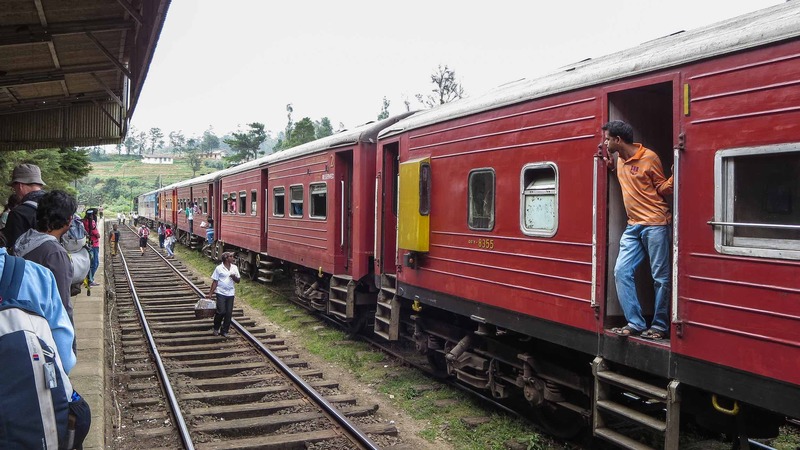 Sri Lanka’s ultimate train trip runs 290 kilometers from the capital all the way east to Badulla. 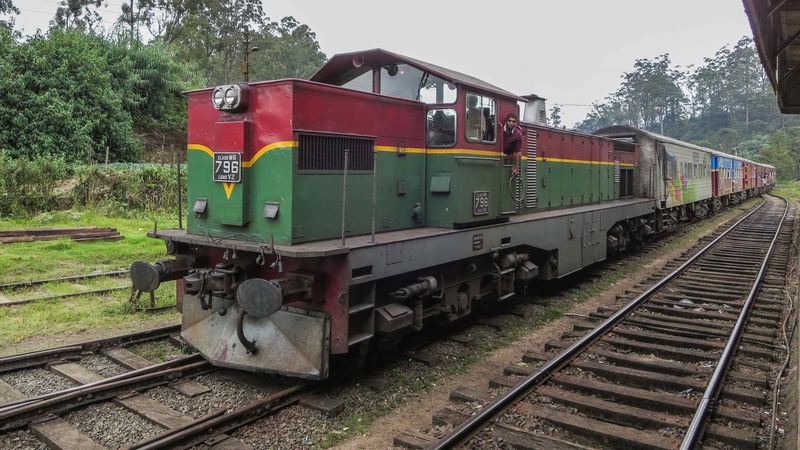 In his excellent blog The man in Seat 61, train aficionado Mark Smith says that it is “a classic journey that’s easily the best train ride in Sri Lanka”. 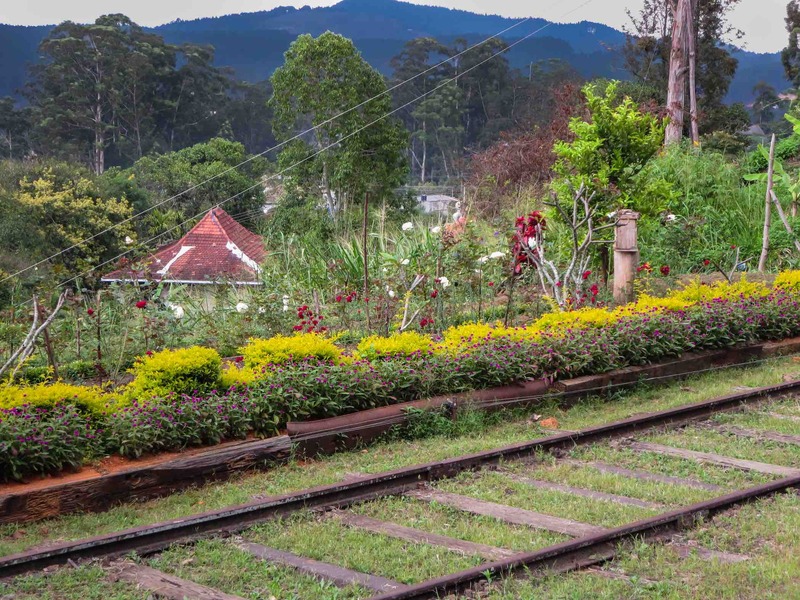 As you make your way from one end to the other, it is possible to interrupt your journey with connections to the old capital of Kandy and the hill station of Nuwara Eliya. 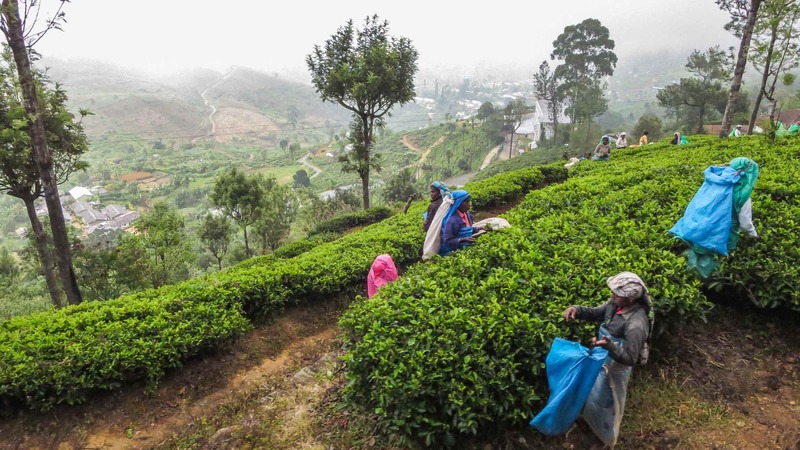 These towns are two of Sri Lanka’s most attractive. 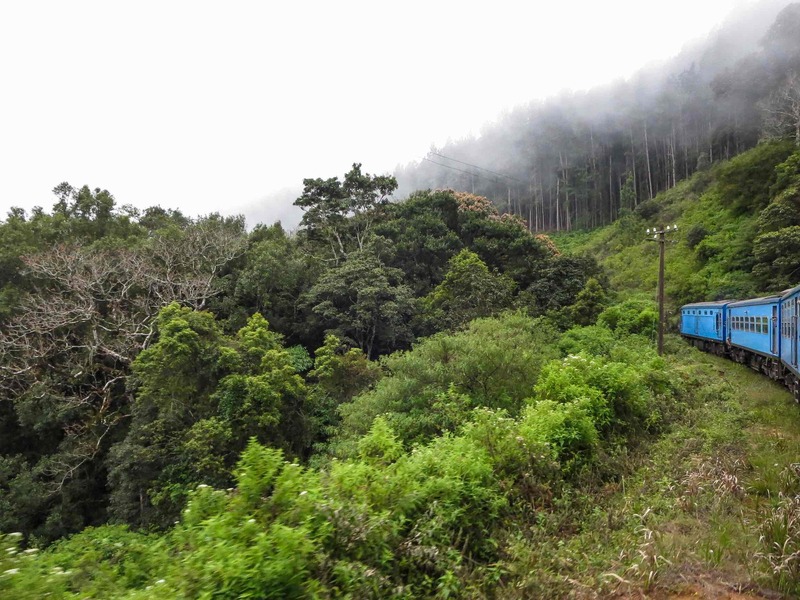 We had spent the previous evening in Nuwara Eliya and in the morning drove by bus to Horton Plains National Park and the World’s End Trail. 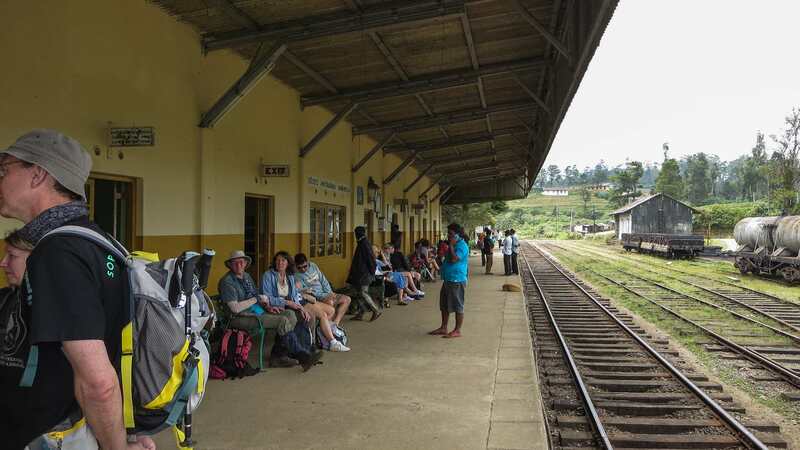 Then, our easy-to-walk World’s End circuit done, we returned to Ambewela and waited for our train. The memorable ride would take us to Ella over a two-hour time span. Ambewela at 1828 meters a.s.l. 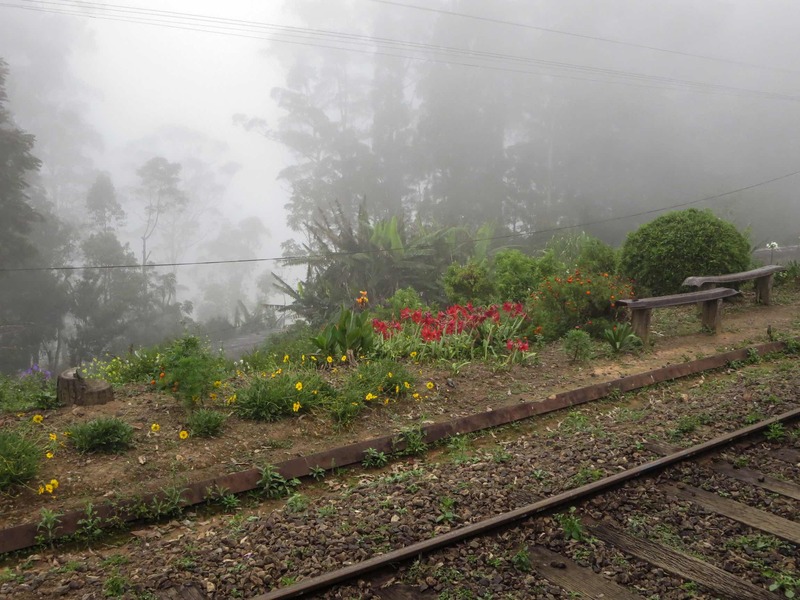 and nearby Pattipola at 1892 meters, are the two highest train stations in Sri Lanka and among the top 20 in the world. 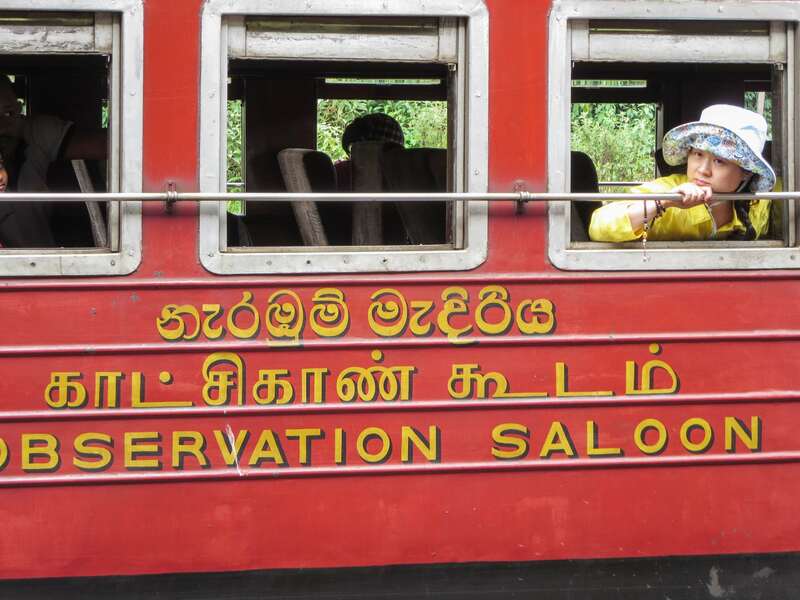 The line was built by the British during colonial times to haul tea from the highlands down to Colombo; now it carries tourists! 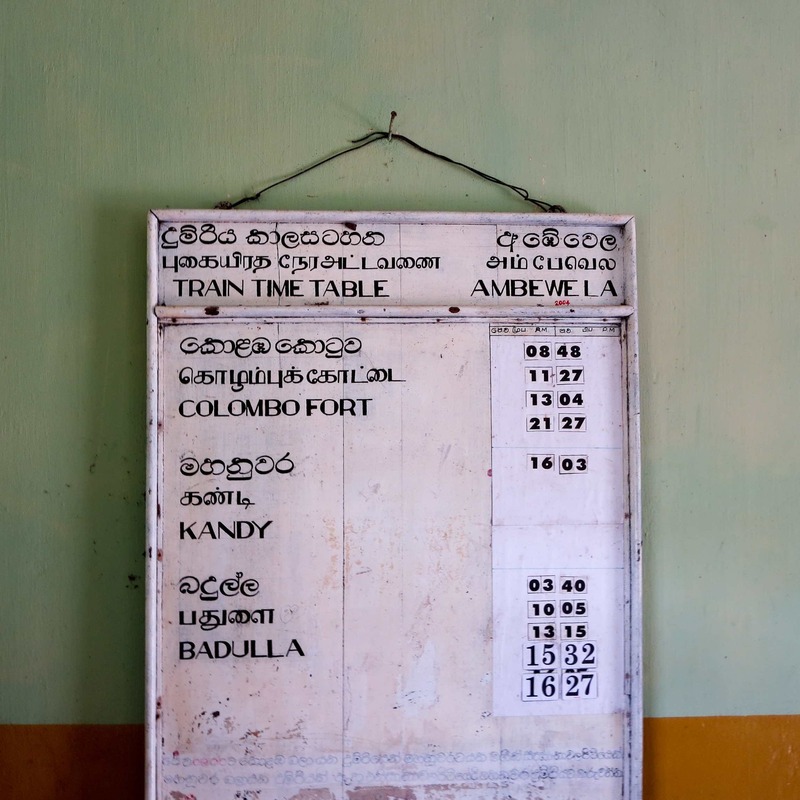 As we waited a number of trains passed by; they were all heading north and west to Colombo. A train aficionado would be able to identify the engines and the carriages and their respective vintages; I had to content myself with noting their various colours! In the image below a tourist watches me as I include her in my photo of the observation car. 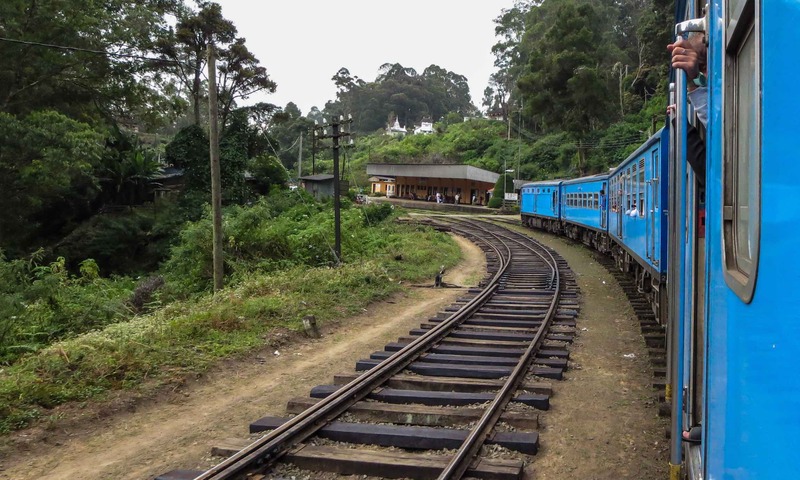 More cars heading west, more colours …until finally our blue train, known as the Udurata Menike – a Sinhala translation of the original English “Highland Lass” – arrived. 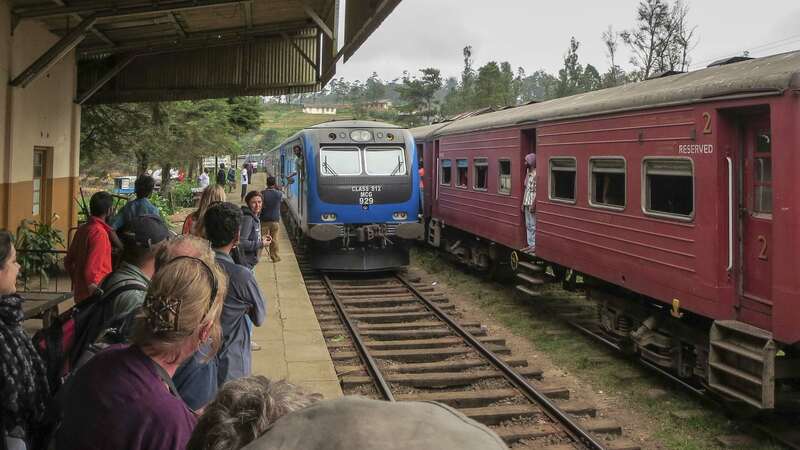 The blue Chinese-built trains were the newest ones I saw; they were introduced in 2012. We had reserved second-class seats and, best of all, it was very easy to take pics. I am almost certain that the windows open so dirty windows were not an issue. I am not sure why I did not use my Sony DSLR for any of the pix in this post; all but the last were all taken with my with my point and shoot – a Canon Elph 330 (aka Ixus 255). The car below looks like it might go back to pre-independence times! And then we were on our way – taking in the fifty shades of green often covered in a shroud of mist. 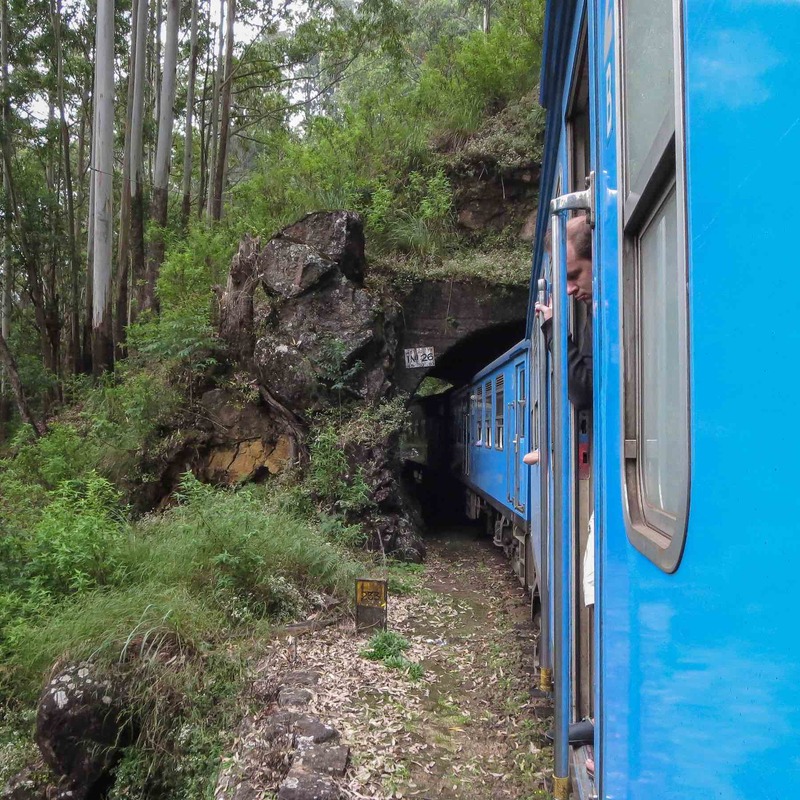 Every once in a while we would enter a rock face through one of the 44 tunnels of the route and views would be replaced by the sound of screeching wheels on the rails. 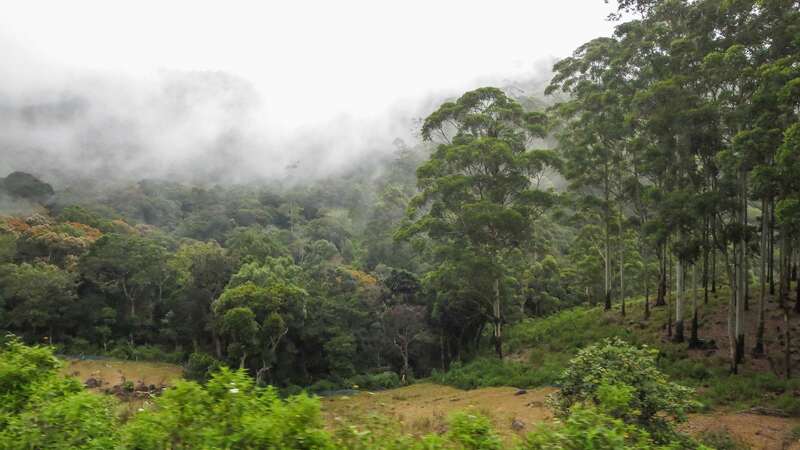 passing through the cloud forest of the Sri Lankan highlands. 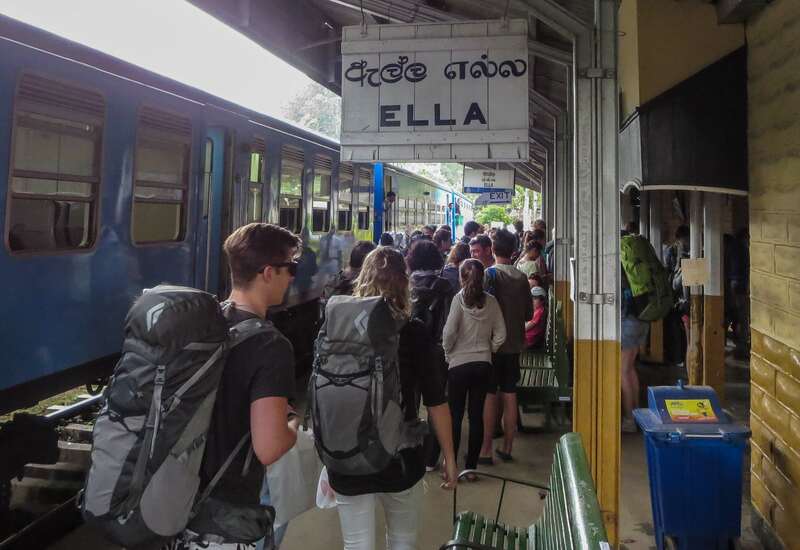 One of these years I hope to return to Sri Lanka with my bicycle, take the train up to Jaffna, and then travel down the east coast of the island to Trincomalee and beyond to experience another aspect of a beautiful island with a fascinating, if somewhat painful recent history. As I high school teacher in Toronto I came to know a number of students from Sri Lanka, some Sinhalese but mostly Tamil. Beginning in the early 1990’s many had arrived as refugees from the civil war going on. Outside of Sri Lanka, Canada is the home of the single-largest number of Tamils. 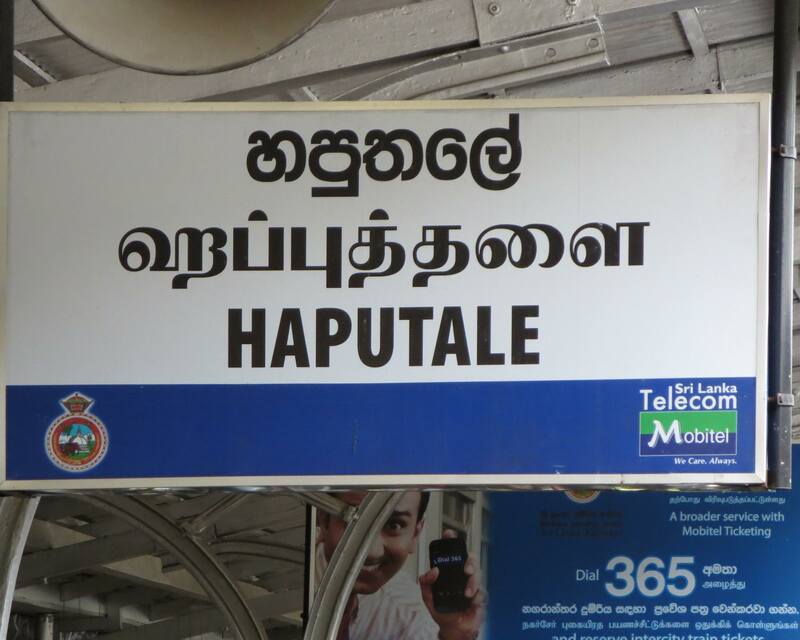 Common in Sri Lanka are trilingual signs like the one below at Haputale. 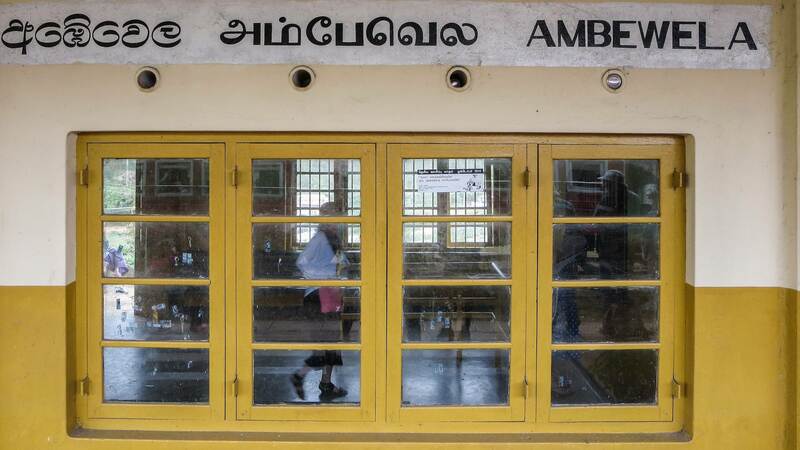 The top row has Sinhala letters and the middle has Tamil. As the photos of the various train stations and the countryside show, buildings and surroundings are mostly well-kept and tidy. 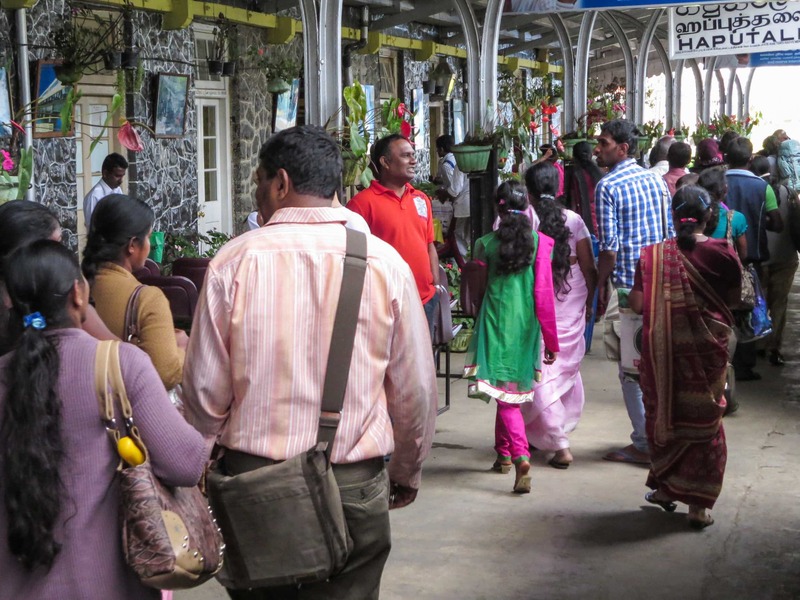 Garbage and litter are rarely seen and the smell of sewage – one of my overriding impressions of travelling the top half of India – is thankfully absent. 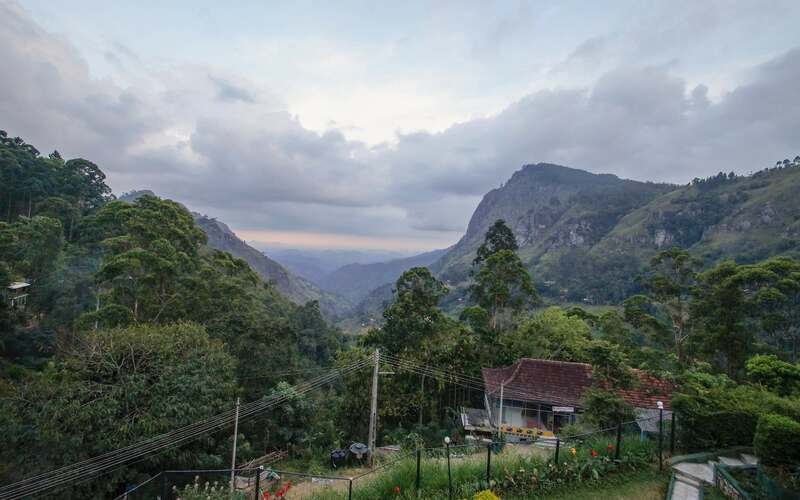 Sri Lanka’s most beautiful village, offering verdant walks amongst the surrounding tea plantations and a marvellous view through Ella Gap to the plains below. 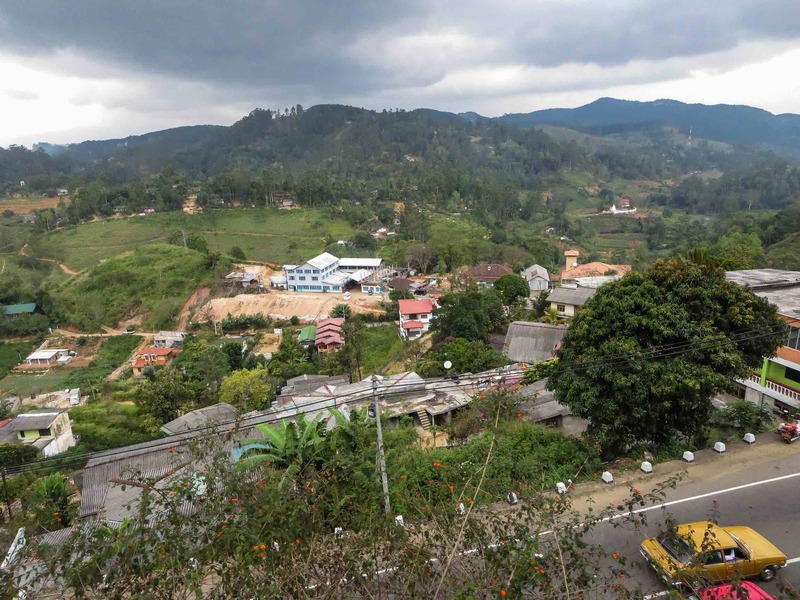 I did this tour – The Highlands of Sri Lanka – with Exodus Travels, a small-group travel country based in the U.K. there were 12 of us in the group, a mix of older Brits and a couple of Canadians. I’ve used Exodus at least a dozen times when the organized trip option makes the most sense. I always come away impressed with the guides and the way that everything on the logistics side just falls into place. 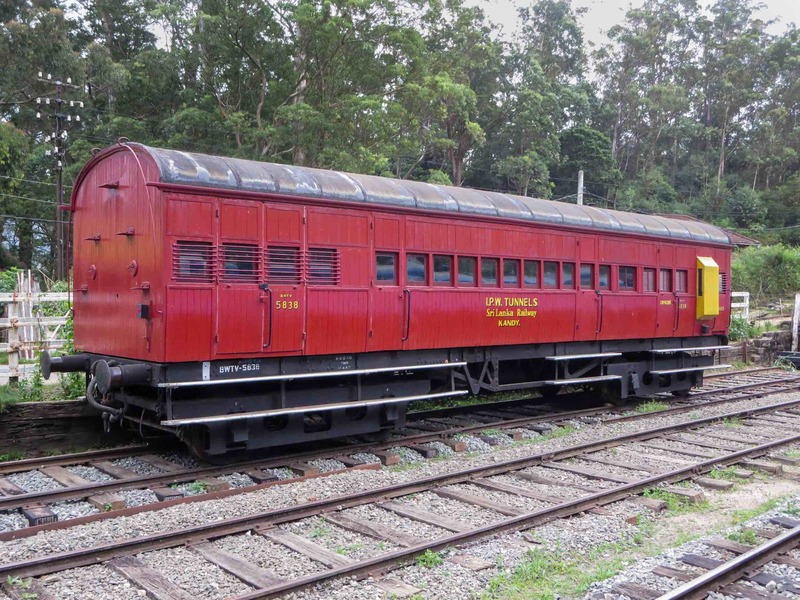 A Fascinating Journey, a review of a book written by Hemasiri Fernando titled The Uva Railway: Railway To The Moon appeared in The Sunday Times Sri Lanka (May 1, 2016). It gives a brief summary of the author’s detailed treatment of the history of the line and may well lead train buffs to getting the book itself. A search for the book at Amazon.com unfortunately did not come up with it; a Colombo book shop may be the place to look. 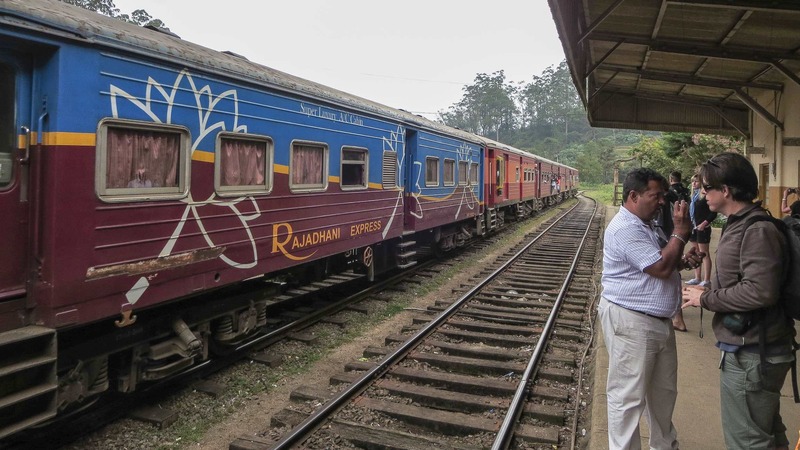 Lou Wilson uploaded to Youtube some video of his 2012 train ride from Kandy to Ella. He captures the spirit of the journey beautifully. 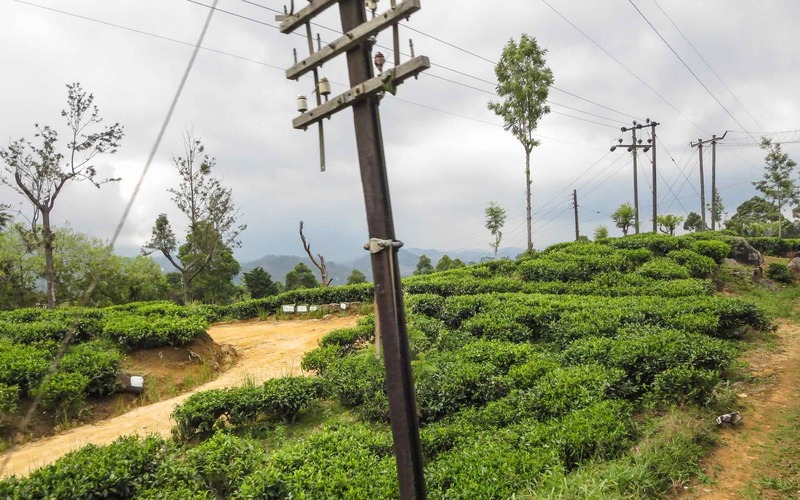 This entry was posted in Easy Travelling, hiking/trekking, Sri Lanka. Bookmark the permalink.